After yesterday’s latest purported leak of the Samsung Galaxy SIII (that is more than likely fake), we have this picture. Allegedly coming from someone with a friend inside Samsung, he not only posted what you are seeing above, but he dropped a handful of specs. As with any of these leaks, take them for what they are and that’s an unproven rumor from a mystery man on the internet. 4.7″ HD display that has just enough space for a front camera, speaker grill, and so that cases would fit on. The rest really is supposedly all screen (including those on-screen buttons). Quad-core Exynos chip with 2GB of RAM. He initially called the SoC a 4212, which is Samsung’s latest dual-core chip, but then changed it to 4412 after hearing it from redditors. 8MM thick but with a 2250mAh battery. Back is made of ceramic just like the HTC One S.
The back is completely smooth without the famous hump from last year’s model. Sammie may be looking into giving you the option to choose either TouchWiz or stock ICS – sort of a dual-launcher approach. What do I think? Well, the device mimics the Galaxy S2 in shape, but clearly has a larger screen. It’s running stock ICS and that’s about all you can tell. 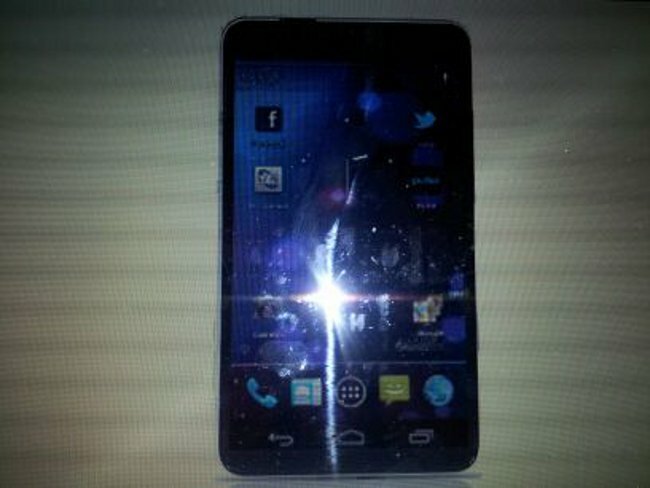 Could this actually be the SGS3? Sure, but we surely can’t tell from this poorly taken photo. Just add this one to the rumor pile that is growing by the day. Is this the Samsung Galaxy SIII?